Join BUD APPETIT and enjoy healthy and delicious treats created by our talented EDIBLE CHEFS from organically grown weed from select growers only. We have a nice selection of cannabis-inspired merchandise… and for every purchase you’ll receive a FREE edible gift. CASH ONLY. Although this is a FREE event, we ask you to thank our gracious host, CODE PINK with a $5 donation at the door. Puff, Puff, Pass. 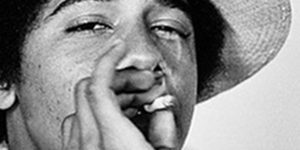 BYOB – Bring your own Bud/Blunt OR get some while you’re there.Eat, Smoke & Dab… trade seeds or clones — it’s legal in DC. Vendors must be pre-approved. Thank you. Must be 21 to enter. Bring your ID. DMV+You do not need a medical card to attend.